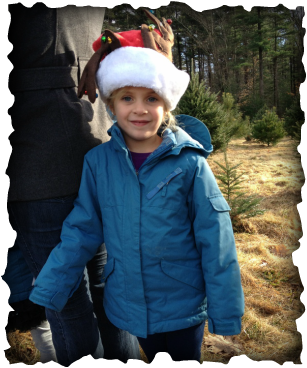 Mistletoe Acres is a scenic, "cut-your-own" tree farm located near the center of East Bridgewater, MA. We grow a wide selection of evergreen trees to suit your holiday needs! We welcome you to cut your perfect tree, or one of our friendly staff members will be happy to cut it for you. We also offer small potted trees for those of you who wish to plant a special tree in your yard. Come browse through our selection of hand-crafted wreaths, garland, centerpieces and Christmas ornaments. We also offer tree stands and preservatives. Don't forget to stop by our holiday shop for complimentary fresh-baked cookies, hot cocoa and spiced apple cider. We put a lot of patience, care and pride in to growing our trees. Bring the entire family for a truly memorable experience at Mistletoe Acres! As a family owned and operated business, we are thrilled to become a part of your holiday tradition! ​Friday, November 23rd through Friday, December 21st. 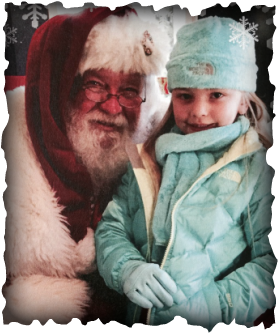 Santa is returning to Mistletoe Acres on Sunday December 2nd, 2018! See the Events page for more information! *We offer tree delivery services to any of the Bridgewaters for a nominal fee. Click the links below to see your favorite tree farm featured in the news! The winners of our 2017 Annual Christmas Tree Photo Contest have been announced! See our Events page for pictures of the winning trees, as well as directions for emailing your submission for the 2018 contest. Want a LARGER-than-life tree? Call to order your 12ft and up precut trees by mid-October! We offer hard-to-find, premium-grade, double-sided wreaths for those who want only the best in evergreen decorations this holiday season! We also offer evergreen candy canes and a variety of centerpieces. We sell a variety of specialized tree stands, including the popular STAND STRAIGHT Tree Stand. This specialized hole-and-pin system makes standing your tree a breeze! We will be happy to drill a hole in the bottom of your tree, FREE of charge. We also offer Bowlings Last Stand..."The Last Tree Stand You Will Ever Need" for larger than life trees. Check out their website by clicking the link below! We offer a tree "shaking" service, FREE of charge, which will remove needles, birds' nests, etc. before bringing the tree into your home. We also offer FREE tree-wrapping with twine, which will keep your tree secure for the commute home, and will aide in transporting your tree into your home! We still offer small (2ft - 4ft), potted Christmas Trees for those who would like to extend the life of their tree beyond the holiday season. Our potted trees range anywhere from $35 - $50.00. WE ACCEPT MAJOR CREDIT CARDS, CASH AND CHECK. We sell seasoned firewood! Mixed hardwoods for $250 a cord, plus free delivery to any of the Bridgewaters. Complimentary fresh-baked cookies, spiced cider and hot cocoa are located in our holiday shop. Click one of the links below to navigate this site.